Harvard University Press, 9780674939509, 192pp. During the last centuries of the Roman Empire, the prevailing ideal of feminine virtue was radically transformed: the pure but fertile heroines of Greek and Roman romance were replaced by a Christian heroine who ardently refused the marriage bed. How this new concept and figure of purity is connected with--indeed, how it abetted--social and religious change is the subject of Kate Cooper's lively book. The Romans saw marital concord as a symbol of social unity--one that was important to maintaining the vigor and political harmony of the empire itself. This is nowhere more clear than in the ancient novel, where the mutual desire of hero and heroine is directed toward marriage and social renewal. But early Christian romance subverted the main outline of the story: now the heroine abandons her marriage partner for an otherworldly union with a Christian holy man. Cooper traces the reception of this new ascetic literature across the Roman world. How did the ruling classes respond to the Christian claim to moral superiority, represented by the new ideal of sexual purity? How did women themselves react to the challenge to their traditional role as matrons and matriarchs? In addressing these questions, Cooper gives us a vivid picture of dramatically changing ideas about sexuality, family, and morality--a cultural revolution with far-reaching implications for religion and politics, women and men. 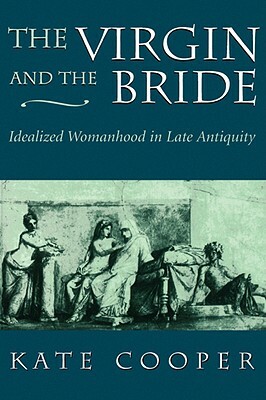 The Virgin and the Bride offers a new look at central aspects of the Christianization of the Roman world, and an engaging discussion of the rhetoric of gender and the social meaning of idealized womanhood.